In the UK we have reduced the amount of single use plastic carrier bags by over 83%, with the bag charge raising £66.4m in the first year. Retailers such as ASDA, CO-OP and Tesco now donate the money to local causes selected by their customers, even if this is through a plastic coin into a plastic box, the reduction of the total number of bags used has been almost as incredible as the amount raised. Recycling IT equipment is partly about preserving resources or separating components for further refining, however, a few questions you must ask before just recycling include: Do I need to replace the equipment? Can the equipment be reused within the organisation? Could it be made data safe and reused by someone else? An old business laptop may work perfectly for a local charity or youth group. Carphone Warehouse are looking at closing stores across the UK as the slowdown in upgrading our mobile phones continues, with people now keeping hold of their current mobile for longer, this raises the question, is this change in behaviour lead by an environmental impact or the smaller differences in the latest phone from your current model? Repairing iPhone models has become an increasingly difficult task to be executed on the high street, this option may lead to a lack of support from the manufacturer or invalidate the warranty. Replacing the screen on a tablet or mobile is not as difficult as it would first seem. Our engineers can repair equipment that holds good value but requires a refurbishing to create a good as new item to place on the secondary market. An ICEX employee recently had a vacuum cleaner break, it was outside of the warranty period, but a quick call to the company soon had a replacement battery on the way and the problem solved. Modern machines are built for a quick and easy manufacturing process, this reduces build time, but can make component switching much easier than you think. Companies like Apple score highly on the Greenpeace guide to greener electronics , for their continued efforts to manage the chemicals used during the manufacturing process and those included in the phone itself and they also use renewable electricity. Dell score highly for their closed loop plastic sourcing, meaning the plastic used in your new machine is possibly made from your old machine. 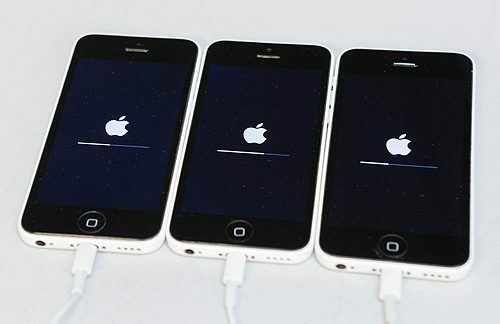 So, while Apple make it difficult to repair, they do make every effort to reduce the environmental impact of production. 60% of the equipment ICEX process leaves our facility in a working condition, we strive to increase this with every collection, repairing what we can lessens our carbon footprint. We call ourselves a recycling company because it’s easier to communicate on the website. However, ICEX are a reduce, reuse, repair and recycling company.